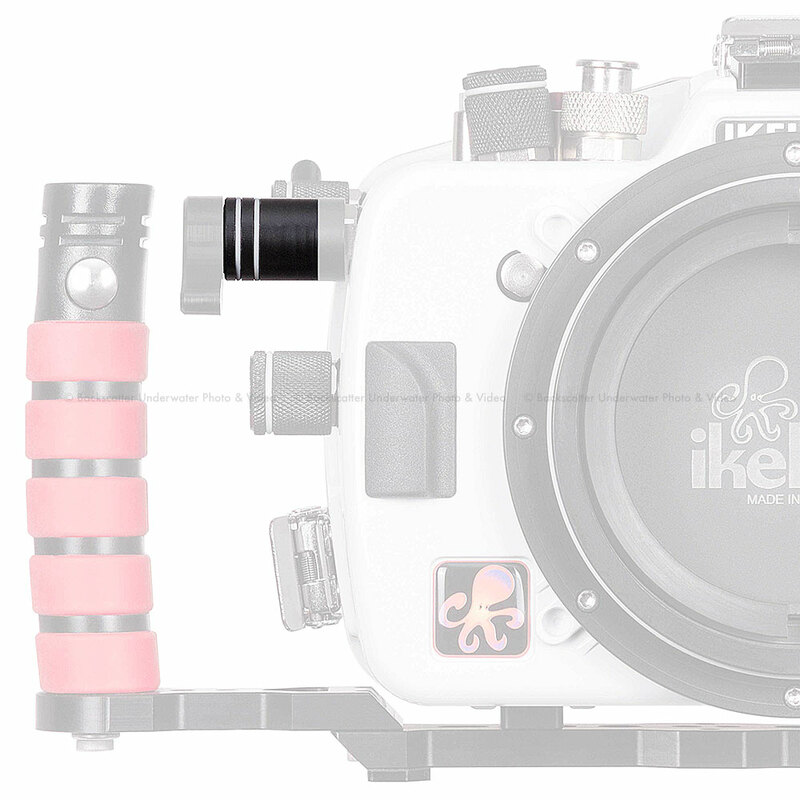 Ikelite extends the ergonomics of your camera underwater, providing larger controls and push buttons which are easy to access even with thick gloves. Whenever possible, controls are located in the same configuration as on the camera to replicate the muscle memory and familiarity you've developed with your camera on the surface. Control symbols laser engraved into the back of the housing will never peel off or fade even with years of use. The camera's large, super-bright LCD screen is viewable edge-to-edge through the back of the housing. An integrated TTL circuit is fine-tuned to the Nikon flash exposure protocol for the most accurate exposure possible. The circuit is powered by the strobe for zero maintenance and no batteries to change. Exposure compensation in TTL mode is supported using the camera's built-in control. 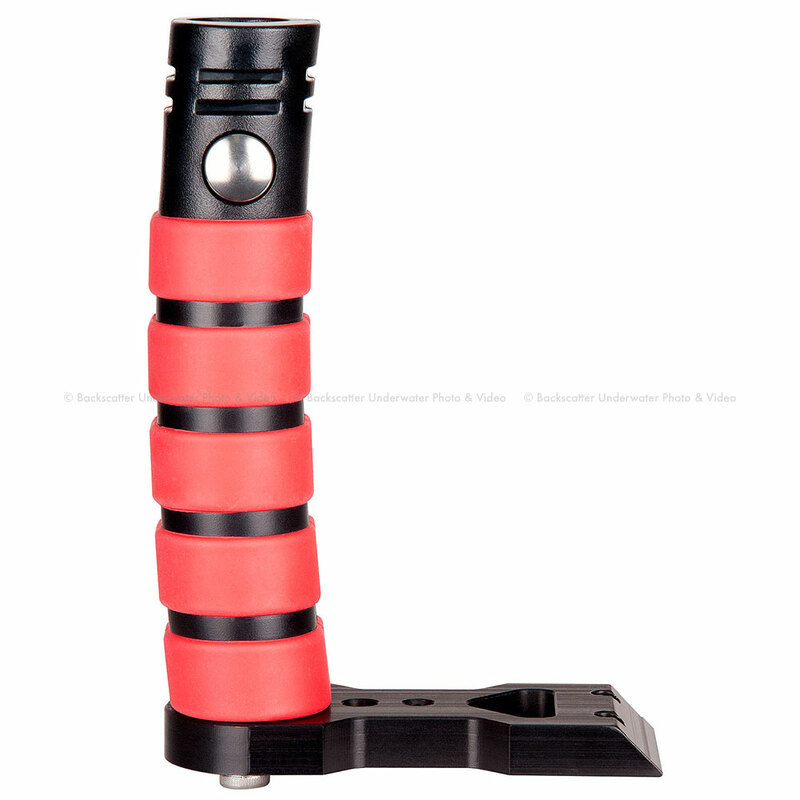 At this time, only Ikelite DS strobes are capable of powering the circuitry. SEA & SEA, INON, and Nikonos strobes will still enjoy fast recycle times and improved battery life, but must be used in manual exposure modes only. This housing provides a direct electrical connection to the camera's external flash hot shoe. Cord attachment is as easy as screwing in a lightbulb, and the threaded fit prevents accidental detachment during use. The bulkhead connection has been moved to the top of the housing to keep cords out of your way and reduce strain on the cord ends. A variety of sync cord terminations are available for Ikelite, SEA & SEA, INON, or Nikonos strobes for ultimate versatility. A bright constant-on video light can be used instead of or in addition to a flash. A constant-on light is not as bright as a strobe flash. Constant-on lights do provide added versatility because they can be used for focus assist and for improved colors when shooting video. It couldn't be faster to change ports than this system—just press the port on and snap the four locks closed. This housing accepts a variety of ports to accommodate all of the most popular zoom, macro, and wide angle lenses from Nikon, Sigma, Tokina, and more. Ikelite's custom optical grade acrylic domes provide the color, clarity, and durability of glass at a fraction of the travel weight. Ikelite's new soft touch lobed zoom knob puts a unique system of universal zoom gears right at your fingertips. 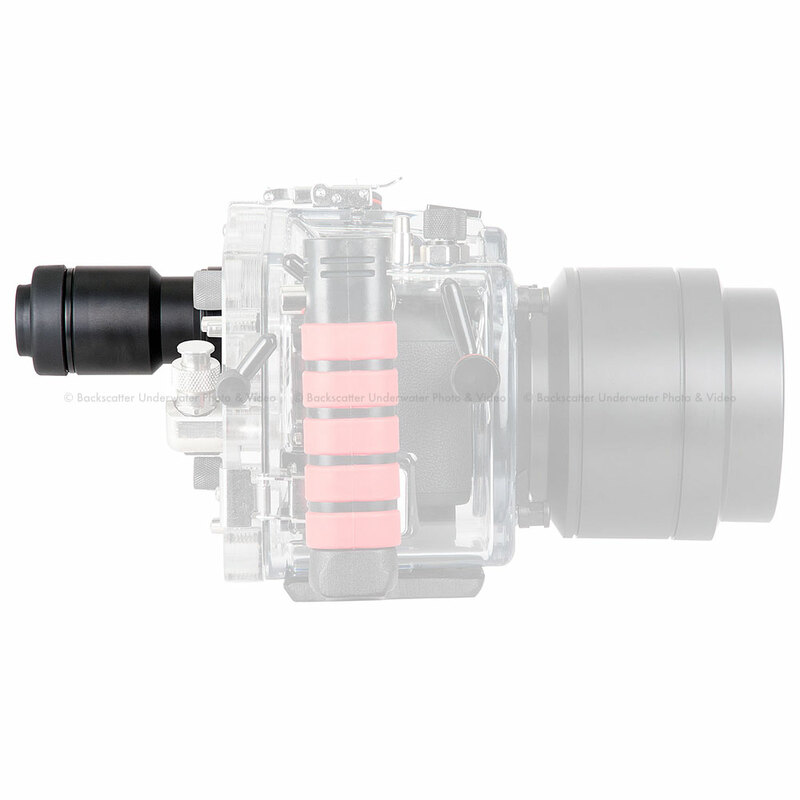 Ikelite provides two zoom sets with each housing, one for use with most popular larger diameter zoom lenses and a second designed for use with smaller diameter zoom lenses. 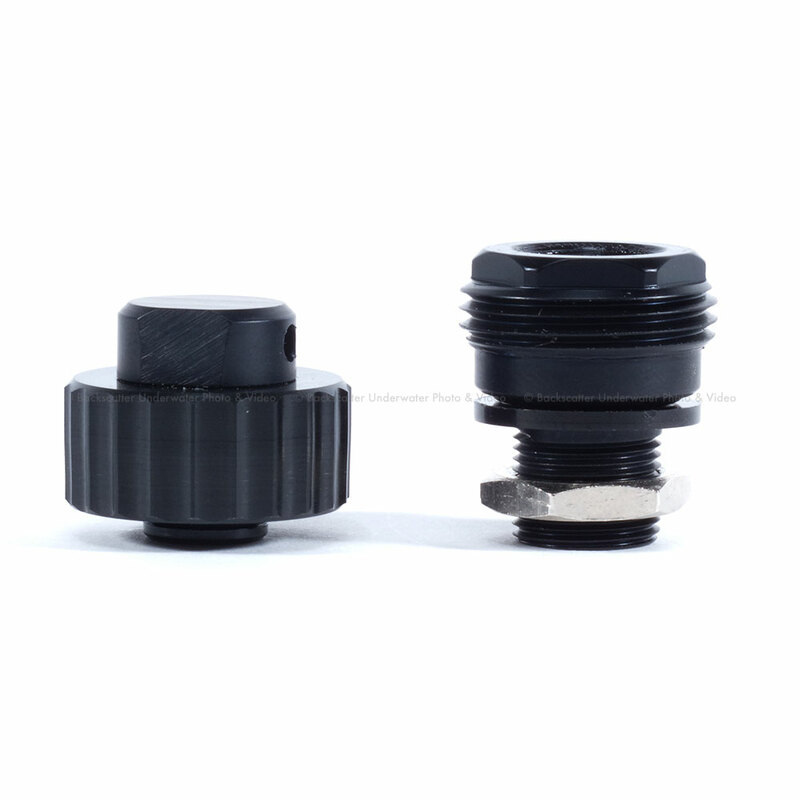 Both sets are lightweight and easy to install with no modification to the lens required. A variety of dome and flat ports attach with four locking latches for maximum security and quick changes between dives. With a system of this caliber, a tray with handle is essential for the attachment of lighting and comfortable handling in a wide variety of shooting scenarios. 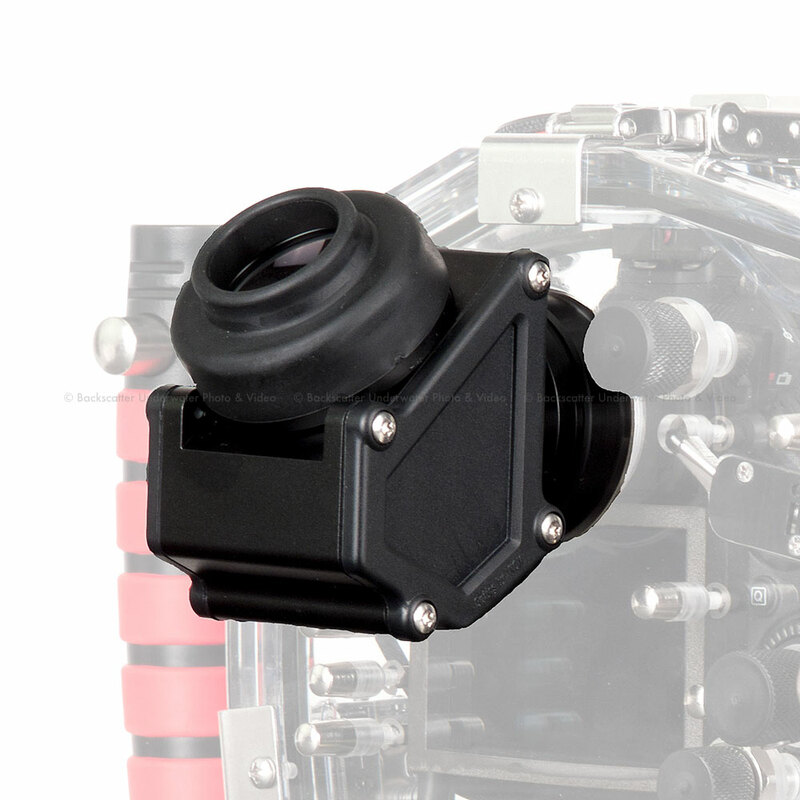 This housing includes a balanced aluminum tray with Ikelite's signature quick release handle for easy attachment and removal of strobes and video lights. This unique handle is curved slightly to fit the natural curvature of your hand, and features a soft over-mold which makes it a delight to hold. 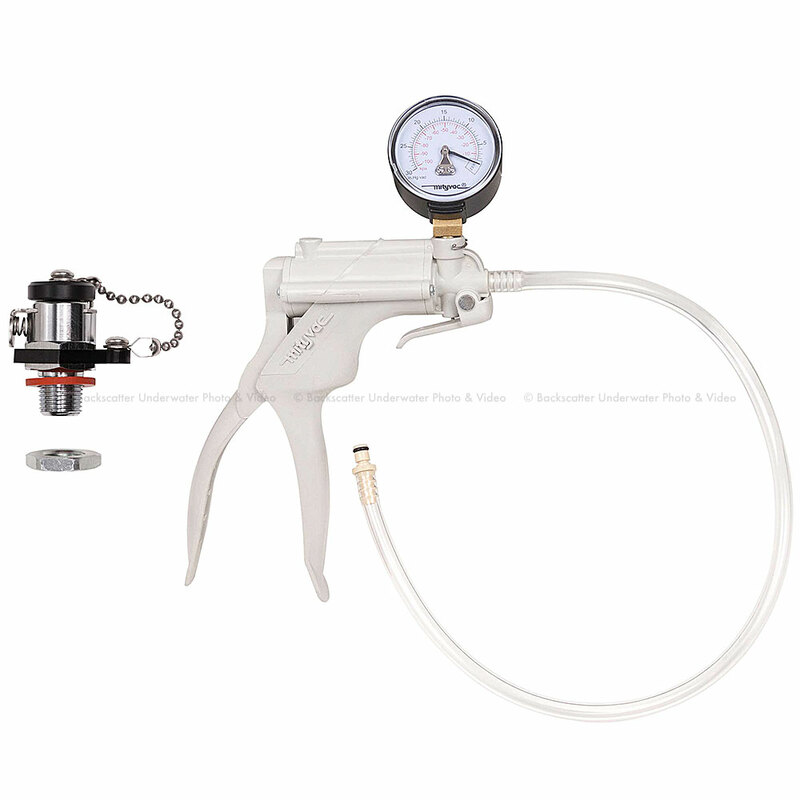 The complete tray and handle detaches quickly with the removal of two screws for travel. A new modular tray provides a 1/4-20 tripod mount and allows for the attachment of a second right-hand handle to the existing tray. An o-ring works best when it's true to its original form. Ikelite's signature open-groove design suspends the rear o-ring in a natural position that is easier to maintain and more reliable than forcing the o-ring into a channel. For added reassurance, there's no substitute for inspecting the actual o-ring seal through the back of your housing once it is closed. Polycarbonate is fundamentally corrosion-resistant for easy maintenance year after year. This housing is designed, built, and tested in the USA. 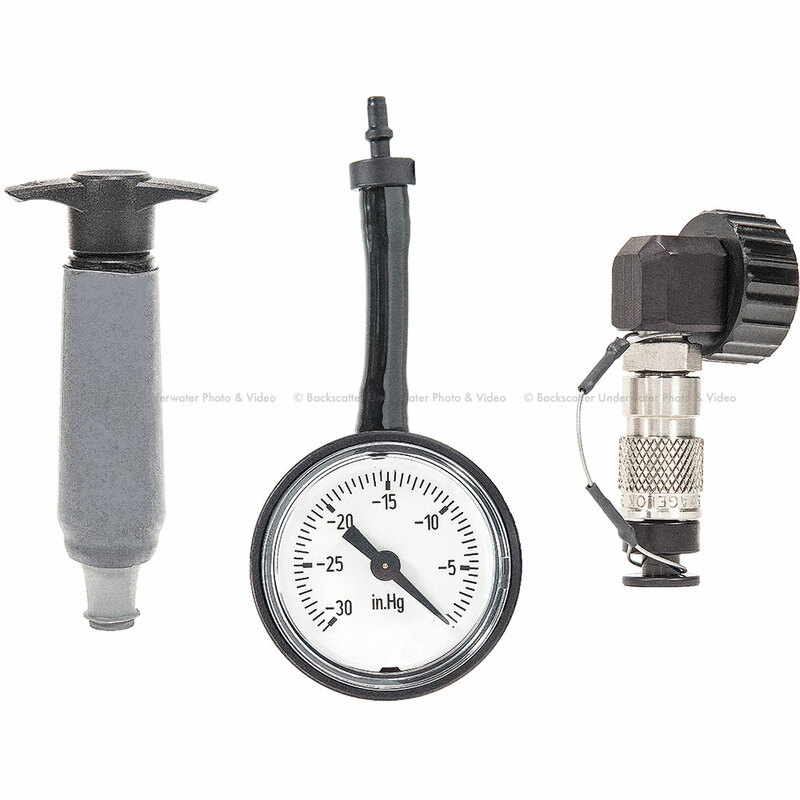 Ikelite's housings are handmade and individually inspected for fit, function and waterproof integrity. The average assembly technician is a certified scuba diver and has over 16 years of experience building Ikelite products. Ikelite backs their products with over 50 years of experience and the most accessible and responsive customer service staff in the dive industry. Due to differences in lens placement, this housing is not compatible with the older D3100 or D3200 cameras.